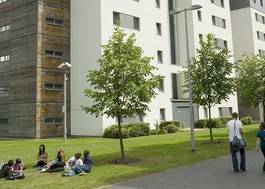 Study Forensic Science with Criminology at University of South Wales - Which? Chemistry and one other Science subject required. General Studies is not accepted. We take all aspects of an application into consideration and applicants receive a personalised offer. Combinations with other listed qualifications are acceptable and others not listed may also be acceptable – please contact enquiries@southwales.ac.uk. A Mathematics, Science or Engineering Access is required which includes Biology and Chemistry modules. We take all aspects of an application into consideration and applicants receive a personalised offer. Combinations of credits amounting to the same tariff points are acceptable – if you have any questions please contact enquiries@southwales.ac.uk. A relevant Science subject is required which includes Chemistry modules. We take all aspects of an application into consideration and applicants receive a personalised offer. Combinations with other listed qualifications are acceptable and others not listed may also be acceptable – please contact enquiries@southwales.ac.uk. Chemistry and one other Science subject required. General Studies is not accepted. We take all aspects of an application into consideration and applicants receive a personalised offer. Combinations of qualifications are acceptable and other qualifications not listed may also be acceptable. Would you like to gain an insight into criminal profiling and crime scene investigation, while exploring how and why crimes are committed? Our four-year MSci course o?ers study of subjects such as crime scene analysis and management, and advanced physical evidence analysis. You’ll complete an independent forensic science research project and you can study for a PRINCE2 Foundation qualification in project management. Accredited by The Chartered Society of Forensic Sciences, the MSci Forensic Science with Criminology allows you to explore your interests in the scientific and forensic investigation of crime, while exploring the nature, consequences and prevention of criminal behaviour. You’ll be introduced to many traditional fields of crime scene analysis, including the scientific investigations of fires and homicides, plus a range of approaches from the field of chemistry. Plus, you will gain comprehensive training in crime scene investigation protocols by conducting casework-based experiments and processing simulated scenarios in our Crime Scene House on campus. Graduates can expect to be employed in laboratory-based positions in the forensic science sector, such as forensic technicians or highly skilled analysts. Our science courses are based in Glyntaff. Glyntaff is surrounded by green open spaces. 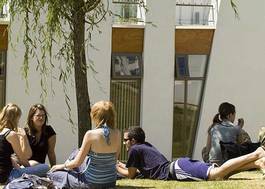 Our students say they love the relaxed atmosphere and beautiful views. Home to our health, nursing, police, sport and science students, Glyntaff has state-of-the-art facilities including the latest science laboratories and a Crime Scene House for forensic investigation. 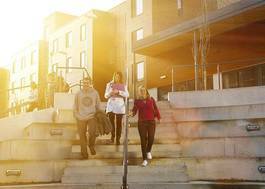 You will also find a library, two cafes and a free regular shuttle bus to USW Treforest.